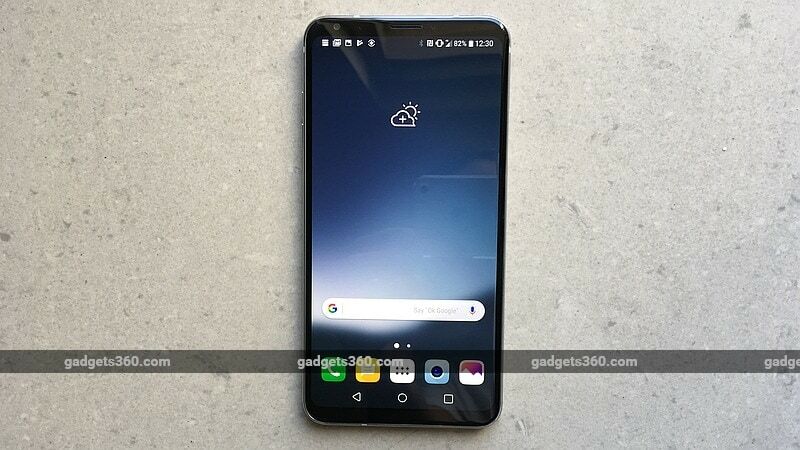 LG V30+ has been launched in India, at an event in New Delhi on Wednesday. The smartphone's highlights are its large FullVision display and dual rear cameras, apart from a 32-bit Hi-Fi Quad DAC that's powered by Bang & Olufsen, as well as bundled B&O Play earphones. The V30+ is also dust and water resistant, with IP68 certification, apart from being shock resistant with a MIL-STD-810G rating. It sports a face unlocking feature as well as a Floating Bar interface, which replaces the secondary ticker display seen on previous V-Series models, and also has an Always-On Display feature. The LG V30+ display also has HDR10 support, one of the few phones currently available with the feature. For V30+ launch offers, LG is offering a free one-time screen replacement worth Rs. 12,000, a free wireless charger worth roughly Rs. 3,000, and in-app purchases worth Rs. 6,400 for the Beat Fever app - the latter two offers extend until December 19.